Nail polish was first used in China around 3000 B.C. The early nail paint mixture was made with beeswax, egg whites, Arabic gum, and gelatine. The early Chinese users preferred red and black colors. Other uses in China involved gold and silver coverings on nails. Egyptians were also known to stain their nails reddish brown color with henna. Cleopatra colored her nails in a dark red. The Native Americans and the Incas also adopted nail coloring. In the 1800’s women would polish their nails with a cloth and use colored powders to tint the color. Modern nail polish as we know it today was invented in the early 1900’s by a French makeup artist who used a variant of car paint. Most American women, however, did not use nail polish until the 1940’s when it became common for Hollywood actresses to use it in films. As women increased their usage of nail polish, they also increased the frequency of using a nail polish remover to reapply a different color. Acetone quickly became the most widely used solvent used as a nail polish remover. Acetone was first synthesized during the Middle Ages. European chemists refined the formula between 1830-1860. Acetone was used as an explosive agent during World War I and was derived from starches such as horse chestnuts. 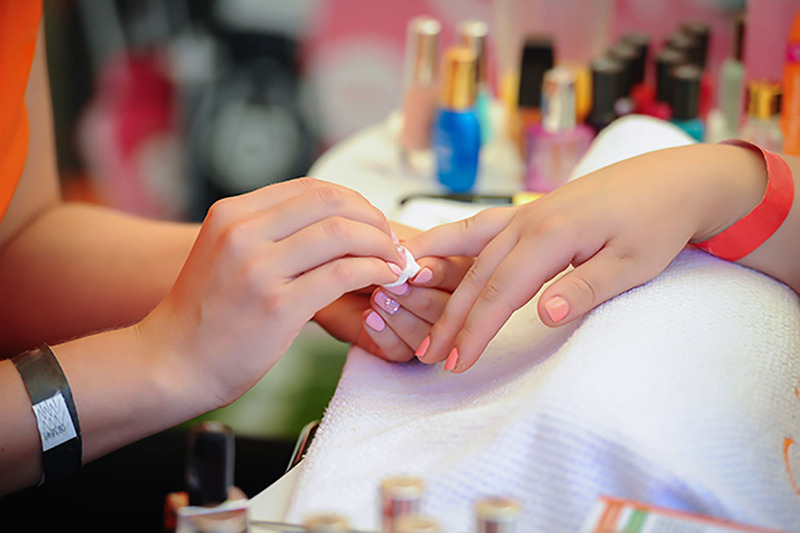 Today, most acetone is produced from fossil fuel petroleum sources although consumers increasingly are turning to non-petroleum based natural nail polish remover solvents. Acetone (CAS 67-64-1) is extraordinarily volatile and has superior properties as a solvent for; resins, epoxies, superglues, and of course nail paints. It is also used as a metal primer and degreaser. Acetone is a colorless, flammable liquid whose synthesis can occur naturally in plants, trees, and trace amounts are emitted due to the combustion of foliage during wildfires. Acetone works as a solvent by separating polymer molecular chains. Acetone nail polish removers work very well, but some users claim that they dry out the skin on the nail beds. To avoid this, many users will mix moisturizing oils into their formula. In combination with acetone, users will also use aloe vera or glycerin which protects, conditions, and prevents nails from drying out. Other users prefer to use natural mixtures of nail polish remover made from white vinegar and/or citrus oils. Users claim these mixtures are better for your skin but don’t work as well as acetone. In the US, nail polish remover is marketed by nearly 100 different companies. Some of the most widely known brands are; Avon, Coty, Mary Kay, Cutex, Onyx, Revlon, and Sally Hansen. These brands are typically represented on the shelf at retail stores or ordered online. Other stores have their own private label store brand of nail polish remover. Examples of stores who have their brand of nail polish remover include; CVS, Walmart (Equate), Sally Beauty, The Face Shop, H&M, Body Shop, and Sephora. There are also dozens of upstart brands aiming at hip young shoppers such as; Zoya, Dr.’s Remedy, Nailtiques, and Pure Vitality Beauty. Almost all of these mentioned brands use contract bottle filling companies to put the acetone into containers and package them for shipment to the stores and consumers. Acetone is filled into bottles with the use of high-speed inline filling equipment. US Federal laws govern the shipment of flammable liquids and are specified in the Code of Federal Regulations (CFR) Title 49. Acetone is explicitly considered a flammable liquid with a flashpoint of −4 °F (−20 °C) with a hazard class 3 designation, packaging group II and UN 1090. In bulk quantities, acetone must be shipped as a hazmat material. When packaged in small bottles of 32oz or less, acetone may be exempted from hazmat provisions when transported by road.